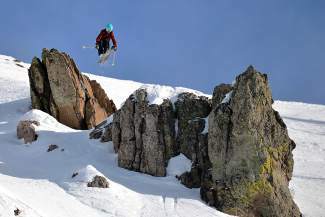 Liam Forsyth sends it off a cliff at Sugar Bowl at a 2013 Tahoe Junior Freeride Series stop. The 2016 series is set to kick off at Sugar Bowl from Jan. 8-10. 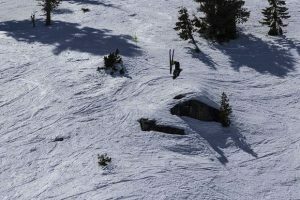 The Tahoe Junior Freeride Series hosted its second stop of 2014 at Sugar Bowl this past weekend, with spectacular big-mountain skiing and snowboarding executed by some of Northern California’s finest youth freeriders. The athletes, many of whom also compete on a National Tour (called IFSA), spur each other on with exciting displays of bravado and technique in the regional series. For each freeride competition run, an athlete and a coach inspect the competition venue, and compose a high-scoring line to be skied fast and fluidly during the run. This past weekend saw the juniors ski down Avalanche on Saturday and the Nose of Disney on Sunday for a two-run cumulative score. Freeride competitions are judged based on a five-category system, whereby the first and most valuable category assigns a value to the degree of difficulty of the line choice itself. A route that runs over areas of exposure, such as cliffs, rocks, chutes and steep pitches, increase the line score. The other four categories are then weighted according to the line score, so that ideally the best skier skiing the hardest line wins. Those categories break down as follows: control, fluidity, technique, and overall impression. 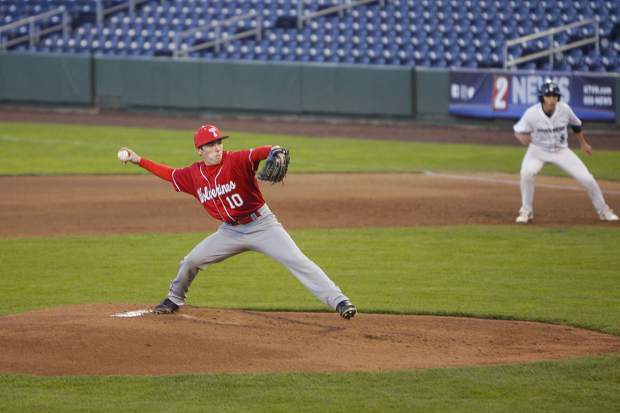 The winning runs generally incorporate a variety of terrain features, arcing turns down the face, at times approaching pitches over 50 degrees, and looking stylish as they throw grabs and 360s off 30-foot jumps, with fast, controlled turns between. 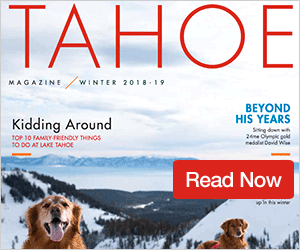 Tahoe’s local 11-18-year-olds are as good as they come, with this past weekend’s Tahoe Junior Freeride Series podium winners indicating many top contenders for this year’s national title. The three-stop series culminates this weekend at Squaw Valley, where 130 skiers ages 18 and under will compete, and overall series champions will be awarded. Venue selections are weather-dependent, but may include Enchanted Forest, Cornice II Bowl and Granite Chief Peak. The Tahoe Junior Freeride Series is part of the IFSA National Tour, with placeholders receiving points for both regional and national events. 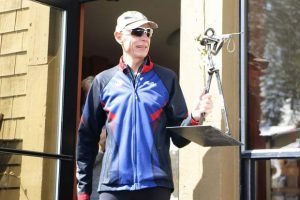 Following an invite-only National Championships in April — to be held this year at Snowbird, Utah — overall finishers are ranked, and North Tahoe teams are on pace to represent the area with particularly strong results. For more information, visit TJFS.info and freeskiers.org, or contact a local team for membership and entry.